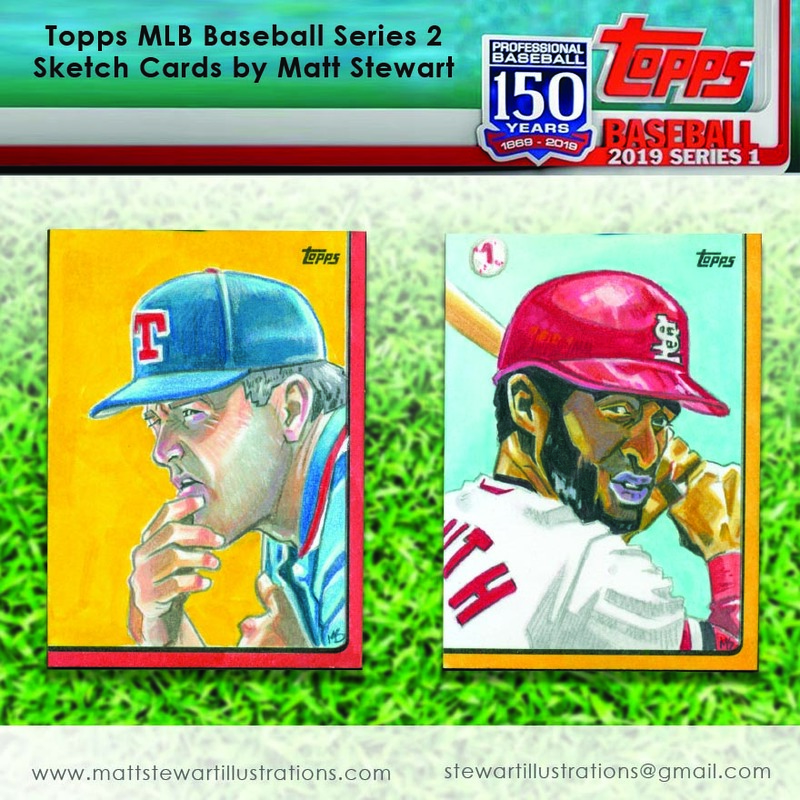 Topps 2019 Baseball Series 1 trading cards released this week & some of my little drawings can be found in the packs! These are very hard to find drawings as Topps produces a lot of these cards since it is their flagship product for baseball. 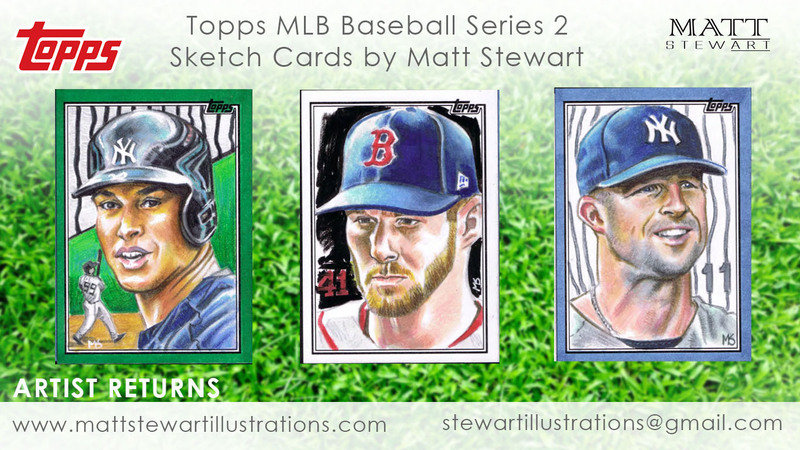 This is now the fifth MLB trading card set I’ve been invited to work on. 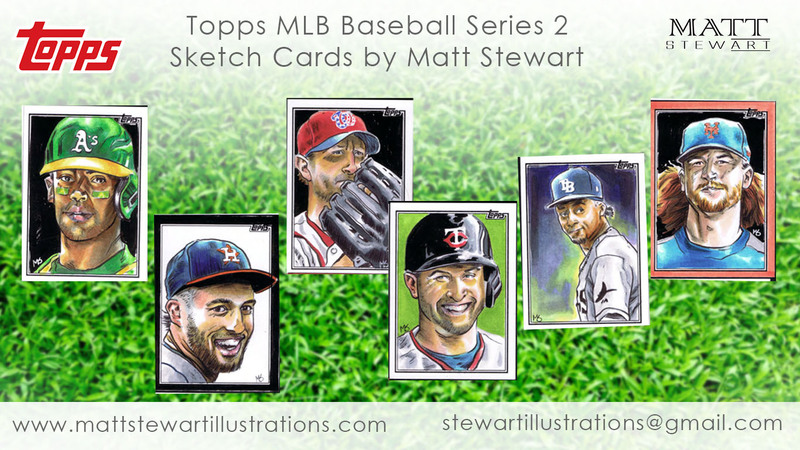 Last year I had the chance to work on Museum Collection, Gallery, & Baseball series 1 & 2. As I’m writing this post I realize I haven’t posted before about Gallery, Museum Collection nor series 1, so there will probably be a few more baseball posts coming up soon! 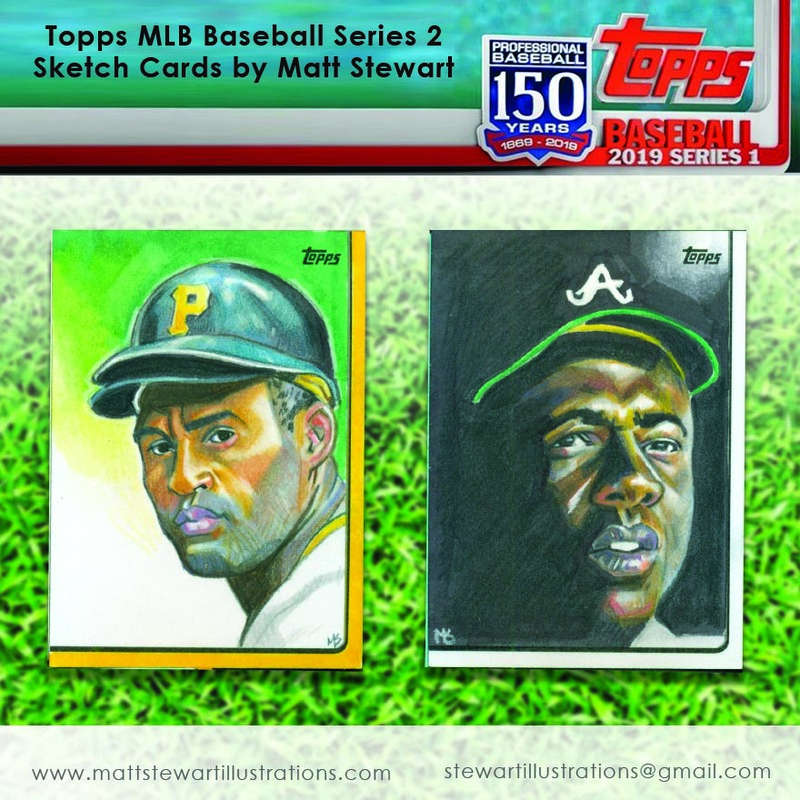 In 2019 I of course can say I worked on this one and will have Museum Collection & baseball series 2 coming out later in the year. Fingers crossed I’ll again have some of my artwork reprinted like last year in Museum Collection! From this project I have five artist proofs, all of which are available. Contact me here if you are interested in buying them! 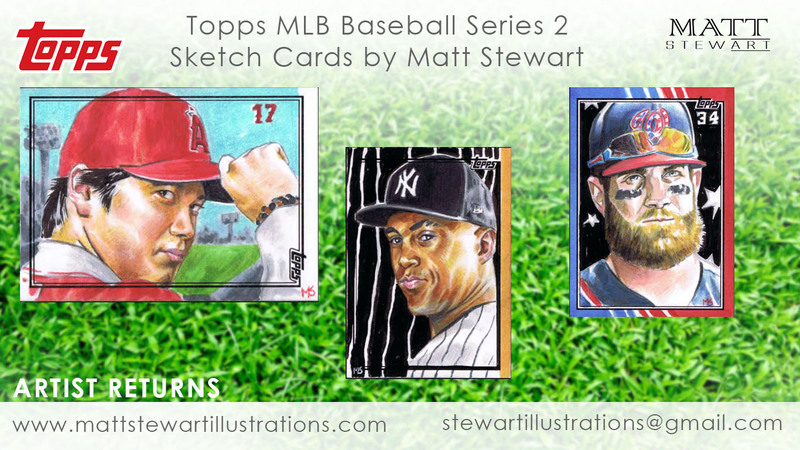 New Sketch Cards in MLB Series 2! 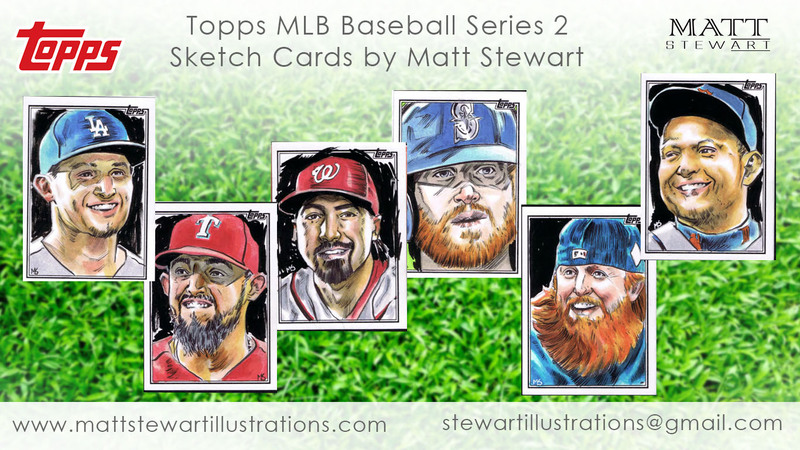 Late last year I had the fantastic opportunity to create sketch cards for the 2018 Baseball Series 1 from Topps. I still need to post examples of my artwork from that set here but I’ve been so darn busy! 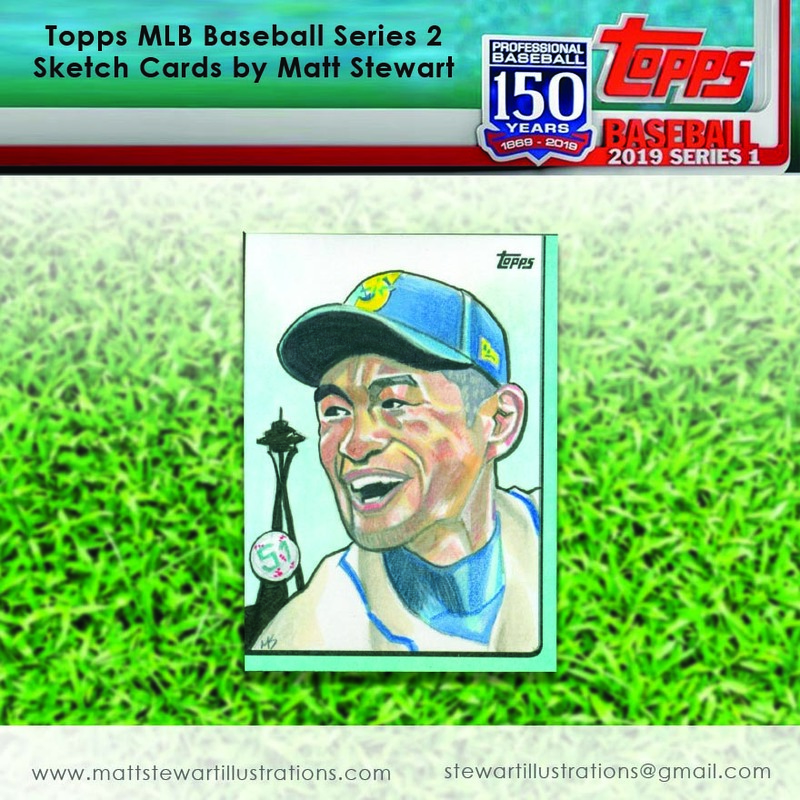 Case in point, Series 2 from the 2018 Topps Baseball set was released about a month ago and I had, again, sketch cards in it! I have a mix of styles in the set and tried to draw a player from every team but I think I accidentally forgot about one or two. 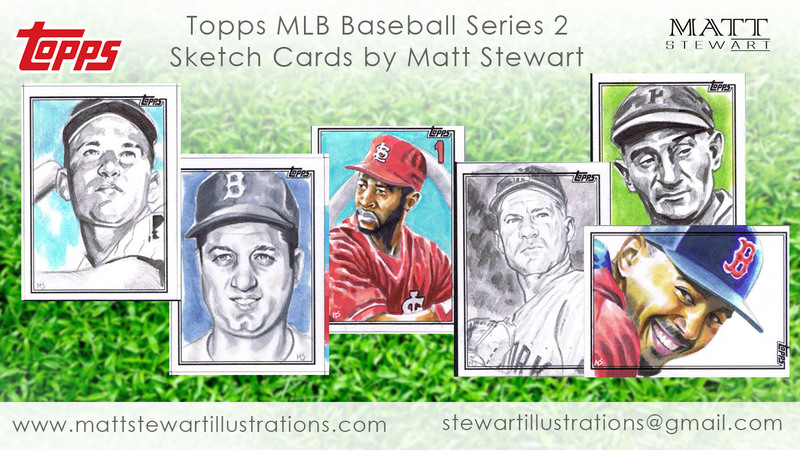 I also had the chance to draw a few retired players, going all the back to Honus Wagner! One of my favourite retired players was also in the mix, a Mr. Ozzie Smith! These sketches are incredibly rare to find in the packs of cards. If I’m not mistaken, I believe the odds of finding one is about one per every 2 or 3 cases of cards! That’s not packs, or boxes, but cases! Check out what I have listed on ebay and if you don’t see it there, contact me here and commission an original from me! I often have a month or two long waiting list, so please make sure to contact me early for commissions. I also have some blank official artist proofs from companies like Leaf available, but they may not be available for long! Up next for my project release calendar is Topps 2018 MLB Museum Collection. This was released in the last week of June. Coming up in July is a horror trading card set for MNS Cards and Lost in Space series 2 from Rittenhouse. I have a few commissions and other non sketch card projects I’m working on this month that I am also excited about sharing! Hoping to have much of that posted on Twitter and Instagram, so make sure to follow me there! 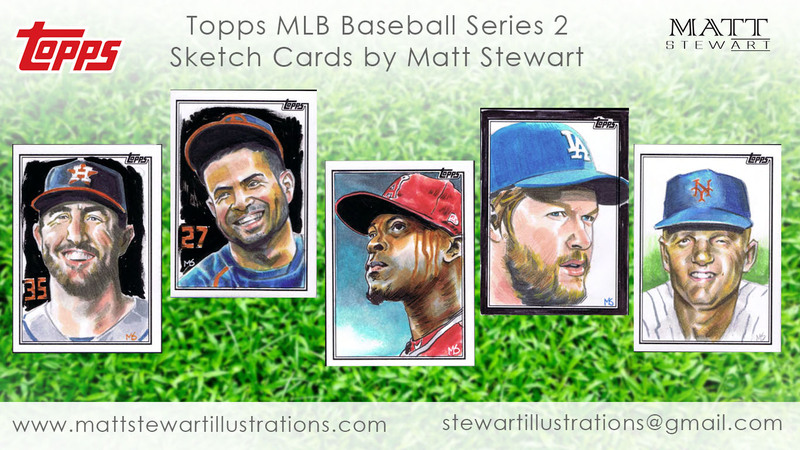 Author matthew stewartPosted on July 3, 2018 Categories News, sketch cardsTags Baseball, MLB, sketch card, sketchcard, sports, topps, trading cardsLeave a comment on New Sketch Cards in MLB Series 2!